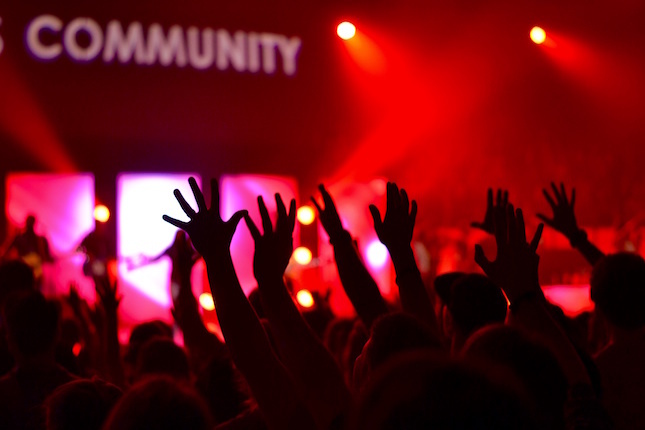 He who loves his dream of community more than the Christian community itself becomes a destroyer of the latter, even though his personal intentions may be ever so honest and earnest and sacrificial. This quote, from Bonhoeffer’s classic Life Together, is also part of a chapter from a new book of essays entitled Called To Community (ed. Charles E. Moore). You can check out the current Patheos Book Club happening around this book here. Innumerable times a whole Christian community has broken down because it had sprung from a wish dream. The serious Christian, set down for the first time in a Christian community, is likely to bring with him a very definite idea of what Christian life together should be and try to realize it. But God’s grace speedily shatters such dreams. Just as surely as God desires to lead us to a knowledge of genuine Christian fellowship, so surely must we be overwhelmed by a great disillusionment with others, with Christians in general, and, if we are fortunate, with ourselves. Bonhoeffer describes our disillusionment with Christian community – even if it has come from the breakdown of that community – as grace! He (Dietrich Bonhoeffer) brought good material for his clothes and wore suits appropriate to the country and climate in which he lived, although he did not dress to impress others. He liked to eat well and knew the specialties of many regions. He was annoyed when the mushrooms or berries he had collected himself were badly prepared. ~ Eberhard Bethge, Dietrich Bonhoeffer: A Biography (Revised Edition); Portrait (1970), xvii. 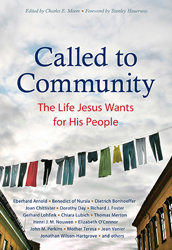 Called to Community: The Life Jesus Wants for His People is a collection of 52 readings, with accompanying discussion questions, that lay claim to a fundamental truth: Christian faith is connecting faith. As a direct challenge to the individualism and isolationism of contemporary secular notions of “freedom,” Charles Moore has brought together some seminal thinkers for reflecting on the abundant life, the life together, that Jesus envisions for those who follow him. And make no doubt about it, those who follow him are bound together in a “mystical union” that takes flesh and blood in the life of the Church. Gerhard Lohfink, Dietrich Bonhoeffer, Dorothy Day, Joan Chittister, St Benedict, Richard Foster, Mother Teresa, Jean Vanier – among so many others – are all given lengthy selections (most are around 5 pages, but several have much more) that offer us deep meditations on the connection that Christ makes in the Spirit to create that spiritual community that is the Church. While virtually everyone now regards Bonhoeffer as a martyr to his faith, it is revealing to observe that at the end of the war, his home church refused to honor him as such, drawing a sharp line between those men and women who died for their Christian faith and those who died because of their resistance to the Nazi state. Perhaps this should not surprise us. One of the most lamentable stories in all the history of Christianity must be the failure of the church in Germany to stand not only against Hitler and the Nazi movement, but to stand against the things that allowed fascism to flourish in Germany. There were notable exceptions in this sad history, of course; Martin Niemöller stands as an example of one whose faith placed boundaries upon the claims of his patriotism. But the relative paucity of exceptions (their notability, in fact) only makes the reality more painful. Christians became complicit in the crimes of the Nazi state, sometimes by remaining silent, and sometimes as enthusiastic and active participants. Jack Forstman, in his remarkable study, Christian Faith in Dark Times: Theological Conflicts in the Shadow of Hitler, begins his book by quoting Kurt Tucholsky, a brilliant German Jew, who wrote: “Nothing is more difficult and nothing requires more character than to find oneself in open opposition to one’s time and to say loudly: No.”** And, if that “No!” must be spoken in opposition not only to one’s time, but also to the leadership of one’s country, to the followers of that leadership, and to one’s own church, how much more character does it require? It is so easy – it is too easy – as a Christian living in the United States in the second decade of the twenty-first century to stand in judgment of German Christians in the 1930s, to pretend that if we had been in Germany in the time of Bonhoeffer, we would have been his supporters and his colleagues, and that we would have stood with him against fascism. Did the German Christians not see the evil of the anti-Semitism that raged in their society? Today marks the 100th anniversary of one of the most horrific episodes of racial violence in American history: the mutilation and public burning of Jesse Washington. 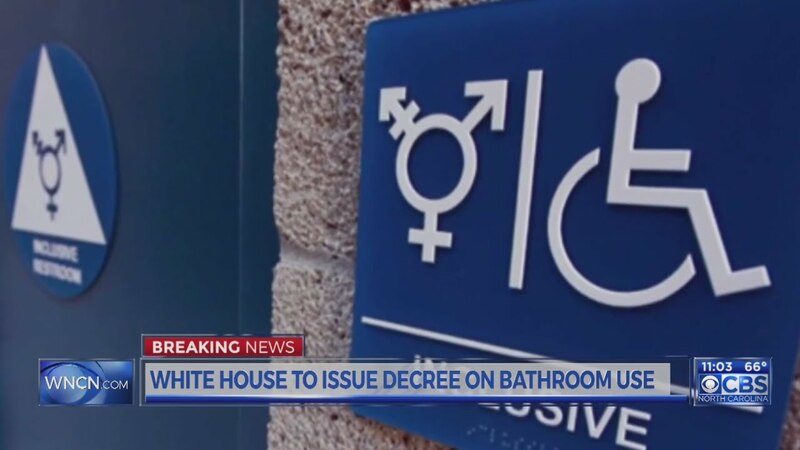 It happened in my adopted hometown of Waco, Texas. Historians call the late 19th and early 20th century the “nadir” of American race relations. The American South was ravaged and destabilized by the Civil War. The corrupt and abusive system of chattel slavery had formed the social structure of much of the pre-Civil War South. Emancipation had wrecked that structure. For many whites, violence against “insolent” blacks seemed warranted in the war’s disorienting aftermath. It wasn’t a coincidence that the Ku Klux Klan was founded right after the Civil War, or that “lynching” became much more common in the post-Civil War South than it had ever been before. White Southerners were grasping to reassert order in their upside-down region. To be sure, the whole nation was experiencing its share of racial strife: the Klan of the 1920s was as big in the northern states as the South, for instance. But the South has a special burden to carry with regard to those racial “nadir” decades. As my Baylor colleague James SoRelle has noted, more than 3,000 lynchings happened in America between 1889 and 1918. The vast majority of the victims, like Jesse Washington, were African Americans, and the vast majority of lynchings happened in the Southern states. If you’re from the South, you don’t have to dig around too much to find hideous examples of racial violence from around the turn of the 20th century. But you do sometimes have to dig. My native hometown of Aiken, South Carolina, witnessed the lynching of three members of an African American family, the Lowmans, in 1926. I didn’t learn about that lynching until I was in my doctoral program at the University of Notre Dame. I can understand why some might not be eager to discuss controversial topics like these lynchings. Shouldn’t we just move on, some might ask? Others would say—rightly, in my view—“No, we can’t move on.” Not until the history of racial violence in America is more fully acknowledged. The steps leading to Jesse Washington’s lynching began when the body of a white woman named Lucy Fryer was discovered. Fryer had been killed by blows to the head. Authorities identified Washington, a 17-year-old field hand at the Fryers’ farm, as the chief suspect. Scholarly studies have debated how likely it was that Washington was involved with the crime, but the evidence against him was mixed. It included a confession of guilt from Washington, but there were no eyewitnesses to the murder. Washington’s lawyers offered no defense of their client. A hastily summoned all-white jury convicted Washington of the killing. Then a mob of whites seized Washington and lynched him before a lunchtime audience of thousands in downtown Waco. They cut off parts of Washington’s body, hung him from a chain, and slowly burned him to death. A photographer took pictures of the loathsome scene, providing rare visual documentation of an actual lynching. Reactions to Washington’s execution ran the gamut from hearty approval to disgust and revulsion. What do Dietrich Bonhoeffer, Martin Luther King Jr., and untold Chinese church leaders have in common? Each of them had to wrestle through the ways that their faith intersected with politics. Throughout history, Christians have had to wrestle with this intersection between faith and politics. Truth be told, this is one of the most important areas of application for faith, but it is also one of the most volatile. Our nation has shifted from merely disagreeing with people of a different political persuasion to demonizing them. In such a delicate atmosphere, and during such an important time in our nation’s history, how should Christians respond? The Apostle Peter provides us with guidance in 1 Peter 2. For Christians, our allegiance to God makes us respectful citizens. This calling is true when “our guy” is in office. And it is especially true when he is not. Peter describes this calling in three ways. First, Peter tells us our political calling: to submit to all authority. We live in an anti-authoritarian society that doesn’t like being told what to do. The only government we want to follow is the one we make up. But Christians are called to something different. Christians are called to submit to all authority that God has placed us under. Second, Peter tells us why: we submit to those in authority for Jesus’ sake. Peter is telling us an essential principle about the Christian’s involvement in politics: A Christian’s political involvement is first and foremost about her and God. God is pleased when she submits to authority. It’s the way that he has structured things in this world. He has given us these sources of authority for our good. Finally, Peter looks at what this should look like each day. In 1 Peter 2:17, he writes: “Honor everyone. Love the brotherhood. Fear God. Honor the emperor” (ESV). This verse contains four simple commands that govern the way the Christian looks at politics. First, honor everyone. As a citizen of God’s kingdom, I honor everyone. Peter starts off by saying how the Christian should interact with all people: he must show them honor. Peter is reminding Christians that just because they are citizens of God’s kingdom doesn’t mean they can neglect the here and now. Second, love every Christian. 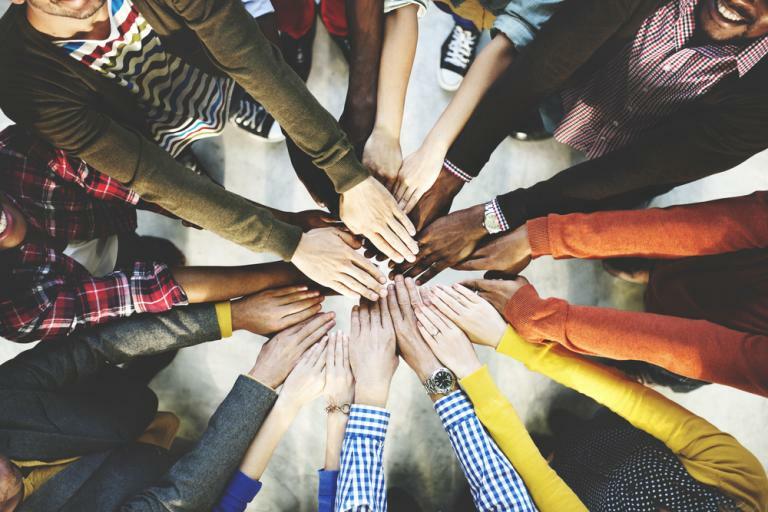 Christians should honor everyone — Jews, Muslims, atheists and more — but they must love Christians. No matter how much a Christian may disagree with the politics of other Christians, they are deserving of intentional, sacrificial love. Third, recognize God as the true king. The Bible never tells us to fear other people, only to fear God. God is the one who reigns and is in charge, no matter who is elected to public office. Which brings us to Peter’s final command. Finally, respect elected officials. In Peter’s train of thought, he says that the Christian is to show the same honor to the Roman Emperor as every other person with whom Christians interact. This would have been massively subversive in Peter’s day, to say that both Caesar and a slave deserve the same honor from us. But this isn’t lowering the bar for how we treat Caesar; it is raising the bar for how we treat everyone else. Today in the United States, our elected officials deserve our respect, not because of any inherent sense of worth in their positions, but because of their inherent sense of worth as humans. How should the Christian look at politics? We’ve already witnessed the spiritual demise of Europe. Can its physical demise be far behind? In early May, Brussels Airport finally re-opened after being closed for nearly six weeks, following the March terrorist attack that killed sixteen people. While it will not be back at full capacity until mid-June, the Belgian government sees the re-opening as part of their effort to regain some sense of normalcy after the attacks. Another part of their efforts is figuring out how to deal with its restive and disgruntled Muslim minority, especially in places like the now-infamous Brussels suburb of Molenbeek. This tiny municipality, measuring less than 2.5 square miles, not only produced the March 22nd attackers, it’s also the reason Belgium produces proportionately more ISIS fighters than any other European country. Lost in the furor over Geen’s comments was the fact that he was talking primarily about secularism and the decline of Christian practice, and values. Also lost in this conversation over Belgium’s future, Islam and its jettisoned Christian heritage, is that the nation has turned euthanasia into a fundamental right. As PBS put it, and everyone already knows, Belgium has “the world’s most liberal euthanasia laws.” Physician-assisted suicide there isn’t limited to the terminally-ill – people with psychiatric illnesses or even children can also be euthanized. And that includes, as we’ve previously told BreakPoint listeners, children as young as twelve. All that’s needed is the approval of two doctors, three in the case of psychiatric patients. By all accounts, Belgium’s law, which goes against everything Christianity teaches about the sanctity and dignity of human life, enjoys wide support. While Geens’ party, the Christian Democrats, has opposed Belgium’s euthanasia regime, their view is a minority one.